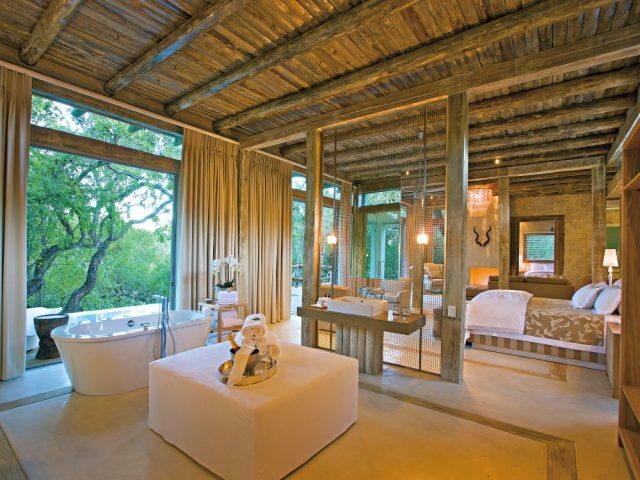 Some of the most strikingly attractive rooms of any game lodge – we love the “rooms with a view” courtesy of their unique open fronts where the absence of walls allows breathtaking panoramic views! 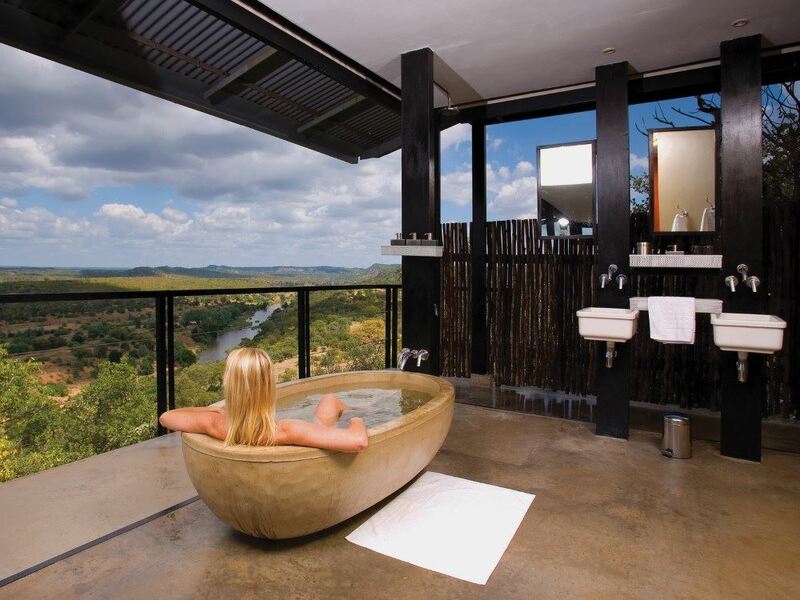 Enjoy stunning views as you relax in your freestanding bath or outside shower! The Outpost lies in the little visited far north of the Kruger in the Makuleke concession area, a vast and remote wilderness area bordered to the north by the Limpopo River and Zimbabwe and to the east by the famous Crook’s Corner (named in the 19th century as the region was a haven for criminals and poachers who would use this meeting point of 3 different countries at the confluence of the Limpopo and Luvuvhu rivers to escape the long arm of the law by literally being able to step across into another country where pursuing police had no jurisdiction!) That outlaw past may be long gone, but what still remains to this day is the stunningly attractive scenery (undisputably the finest in the entire Kruger Park) and the extremely diverse range of wildlife found in the area. 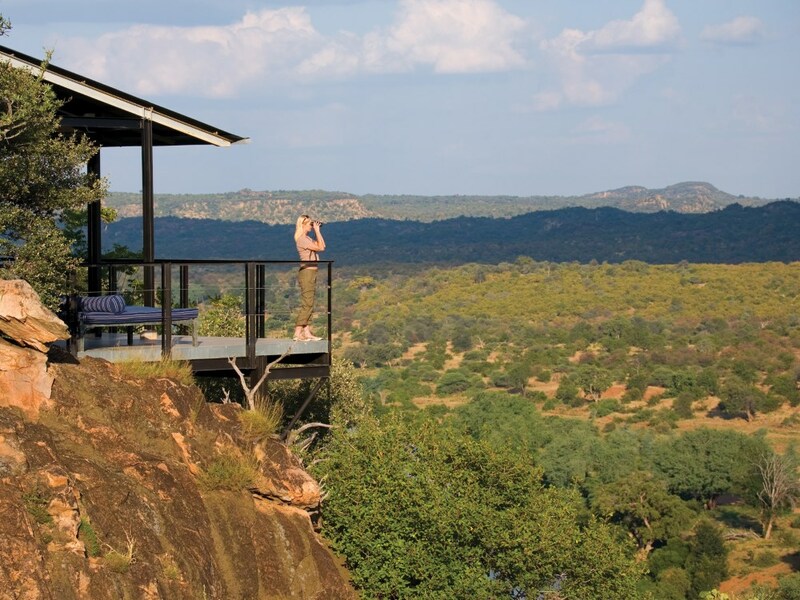 There are 11 Luxury Suites as well as a magnificent Honeymoon Suite which enjoys the best position of all – they’re connected to each other and the central lodge area by a 500m Zimbabwean teak walkway. The main lodge area boasts similarly clean symmetrical architectural lines and contemporary furniture, with some distinctive touches to soften the modern, almost industrial feel of the materials including Nguni cow-hides on the Ottomans and colourful pillows. The same openness and extensive views that characterise the suites are also prevalent here, whether you’re relaxing in the gorgeous pool or with an ice cold drink at the modern bar chatting to fellow guests. The part of the Kruger may not have the same reputation for big cats as areas in the south, but it does boast abundant wildlife including less common species not evident in the southern and central regions of the park. Apart from large herds of elephant and buffalo, the area is great for nyala, an antelope which is not easily found in the more southern regions. But perhaps the element that needs to be most singled out here is the exceptional birding (certainly the best in the entire Kruger!) with just some of the specialities including the Pel’s fishing-owl, black-throated wattle-eye, Bohm’s spinetail, African crowned eagle and racket-tailed roller. We mentioned earlier that a key attraction to a stay at The Outpost is that the concession boasts superior scenic beauty when compared to the rest of the park – take a visit for example to the awe-inspiring vistas over the Lanner Gorge! This aesthetic beauty is also largely due to the fantastic vegetation in the concession area, including massive baobabs and a surreal fever tree forest where you’re literally surrounded by a sea of yellow-green! What it adds up to is that the twice daily game drives are about so much more than racing around ticking off the Big Five – this is a very, very special area indeed, where you’ll get to enjoy wonderful scenery, an unmatched feeling of remoteness, exceptional birding (especially in summer with the migrants) as well as game viewing! Add in the innovative architecture and top-class facilities and services of The Outpost itself and it becomes a near irresistible combination! 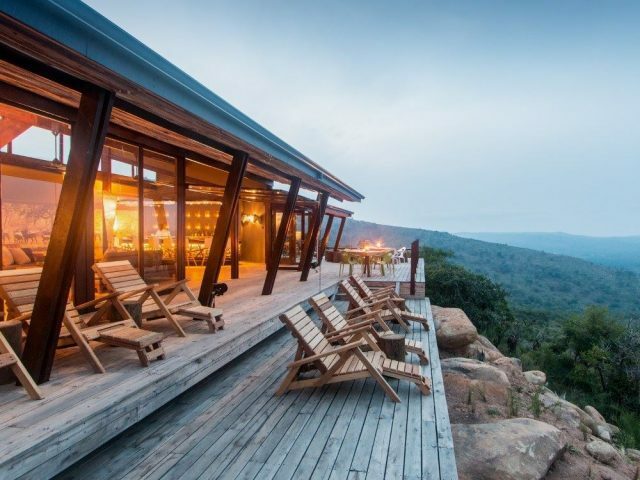 Certainly if you’re a fan of contemporary cutting edge architecture and décor styling, or an enthusiastic birder in particular, then a visit to The Outpost should be near the top of your bucket list! 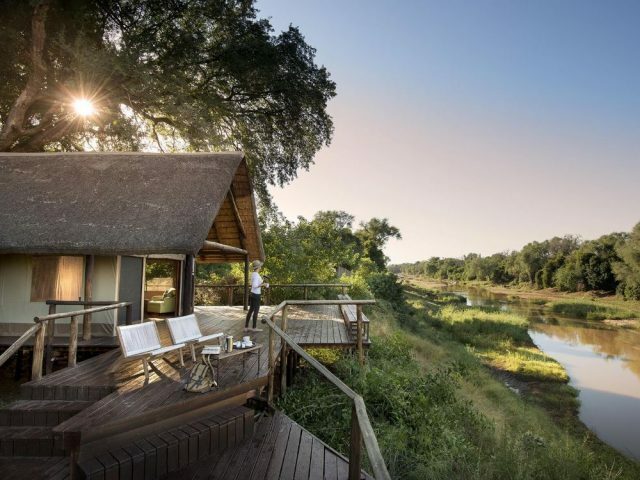 Modern and very stylish contemporary lodge – the first to offer guests an upmarket private lodge experience in the famous Hluhluwe-Umfolosi reserve. One of THE most stylish designs of any game lodge in the country with extensive use of raw wood, a neutral colour palette and modern airy open-plan style!